Hitman fans were elated when IO Interactive revealed they would soon make a new content announcement for their latest and greatest game, 2016’s Hitman reboot. This led to plenty of speculation online about what this content update could be, from an expansion to a bonus episode, with the image used to tease the announcement even suggesting to some that the Danish studio might have been scooped up by none other than Ubisoft. In the end though, IO just announced that it will be putting out a “Game of the Year” edition of Hitman this November. This may come as a disappointment to those who might have been expecting bigger things (although the Danish developer did warn Hitman fans to keep their expectations in check), even if this GOTY edition of Hitman does have some extra features long-time Hitman players might find interesting. 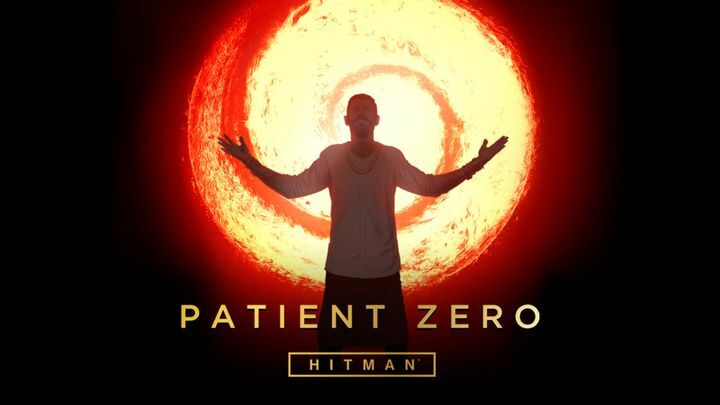 For starters, there’s a new campaign titled “Patient Zero” in which Agent 47 must prevent a deadly virus from spreading around the world. This campaign takes place across four missions and in four familiar locations (Hokkaido, Colorado, Bangkok and fan-favourite Sapienza). And hopefully the new gameplay opportunities, characters and disguises for the game’s protagonist Agent 47, plus a new look and feel for its locations, will make this as good as Hitman’s existing missions. Aside from the Patient Zero campaign, the GOTY edition of Hitman also features three new suits for Agent 47 (clown, raven and cowboy) plus a themed weapon to go with each of these. IO Interactive has also created 3 new “Escalation Contracts” associated to each of these new suits and weapon combinations. These are assassination missions which feature several stages, with one stage building on the next. For instance, the first stage might require you to take out a specific target, while the next might introduce another target and one or more complications (for instance, doing the deed in a specific disguise). According to IO, one of the new Escalation Contracts will require you to take out 7 different targets. This is a first for the series, and could make playing through these missions one of the most fun bits of this upcoming GOTY edition. Also, those looking to pick up an Xbox One X this November will appreciate that Hitman’s GOTY edition will feature specific support Microsoft’s new console, including full 4K support and higher frame rates than in the standard Xbox One edition. Actually, Xbox One X support is not exclusive to the GOTY edition but will be available to all Hitman players via a patch on November 7 (the release date for the GOTY edition). Aside from Xbox One X-specific enhancements, IO has also reworked the game’s lighting to make locations “more vivid, vibrant and lifelike”. Other features that will be patched into the game include a redesigned user interface, which IO says will make it easier for players to access Hitman’s content. And this is definitely a good thing, as Hitman’s jumble of menus was frankly a bit confusing and definitely needed a makeover. Plus, the Danish studio also revealed something important regarding the game’s “Elusive Targets”. These were assassination targets which were only available for a limited period of time in the game, and which you only had one chance to deal with (no second attempts were allowed in case you failed the mission). Thankfully, though, the Elusive Target missions will be coming back to the game shortly after November 7. This will allow those who’ve never played them before to have a go, while those who failed their first attempt or missed any of these the first time around will get another shot at killing these targets in the game. Finally, it’s also good thing that existing Hitman players will be able to upgrade to the new GOTY edition for the reasonable fee of $20 and access the new content. According to IO Interactive’s website, this applies to anyone who bought all of the game’s episodes one by one, or bought the intro and upgrade packs of the game. Meanwhile new players can get this GOTY edition for $60. So, this announcement will certainly please Hitman fans who were hoping for new content to play through until a new Hitman game comes along, something which will hopefully happen sooner rather than later. For the time being, though, fans of bald killer Agent 47 have this Game of the Year edition to sink their teeth into, which hopefully will be a worthwhile addition to any Hitman fans’ game library when it ships this November.